Chinese Xianxia drama “Zhao Yao” tells the love story between Lu Zhao Yao (Bai Lu), the leader of the Demon Sect Wan Lu Wen, and Mo Qing (Xu Kai), the Demon King’s son who hides his love for Lu Zhao Yao behind the mask of coldness and indifference. Having gone in search of the sword the old Demon King left behind, Zhao Yao falls into a dangerous situation and mistakenly assumes that Mo Qing is involved in this. After all, not long ago, she learned that he is the son of the old Demon King. 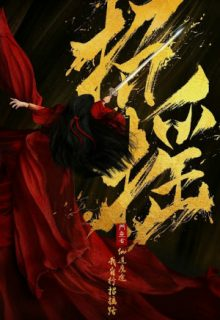 Five years later, Mo Qing becomes the leader of the Demon Sect, and Zhao Yao decides to take revenge. She hides her true identity and by taking advantage of Mo Qing’s love, she asks Mo Qing to do dangerous things. However, as Zhao Yao gets to know Mo Qing more, she falls in love with him. The subtitles for Episode 37 is severely off in timing.